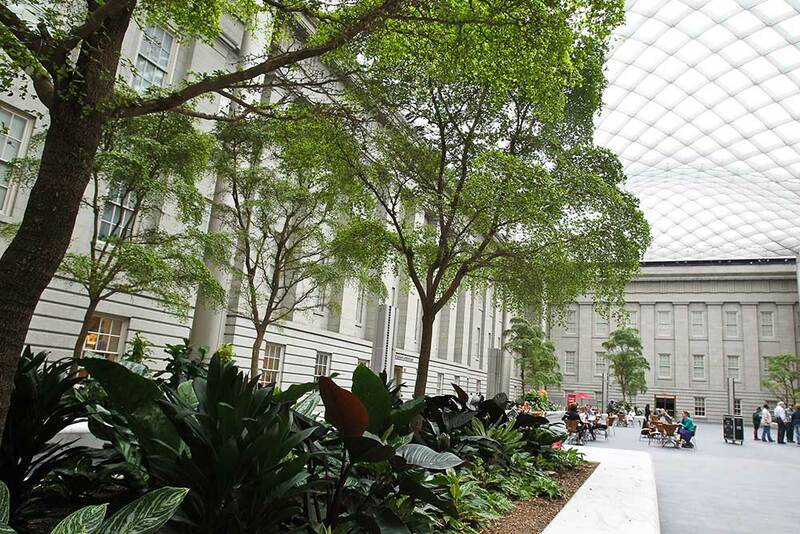 On any given day the spectacular glass-ceilinged Robert and Arlene Kogod Courtyard is filled with visitors. It serves as a light-filled sanctuary for weary tourists, a welcome place to eat and re-fuel for families, and a dramatic program and performance space both during museum hours and in the evenings. 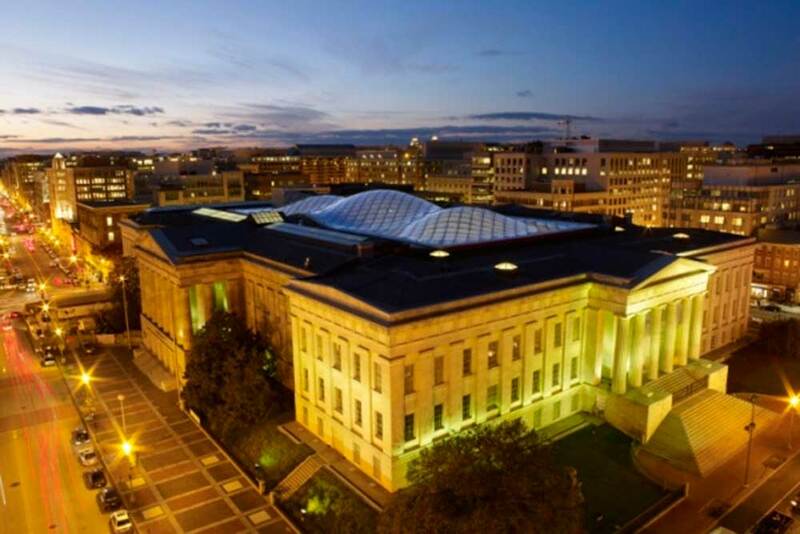 Residents of Washington, D.C. are justly proud of this magnificent public space, and for those visiting the Portrait Gallery for the first time, the undulating canopy elicits surprise and wonder. In 2004, following an international competition, the Smithsonian announced that a panel of jurors had selected the designs of London–based architects Foster + Partners. Foster + Partners has designed numerous innovative and award–winning projects, such as the Great Court at the British Museum in London and the Reichstag, the New German Parliament in Berlin. The firm's most recent project in the United States is the Hearst Tower in New York City. 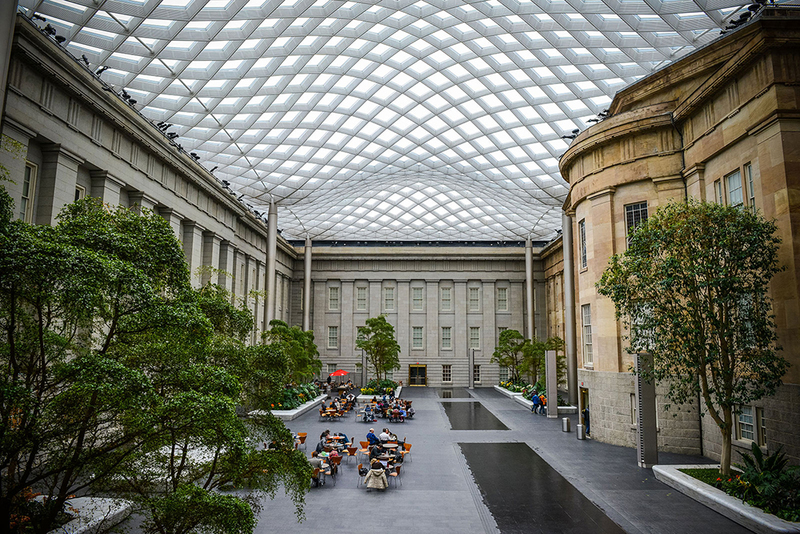 The roof is a wavy glass–and–steel structure that appears to float over the courtyard, letting in natural light but protecting visitors from the elements. 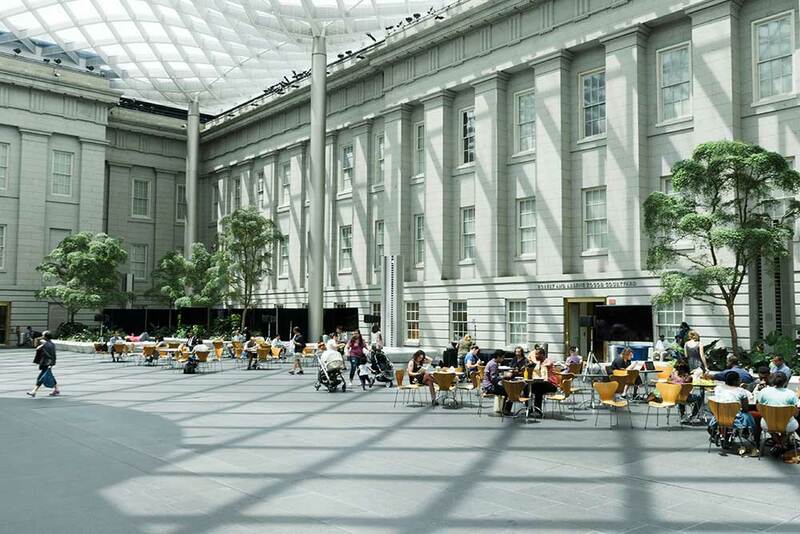 The double–glazed glass panels are set in a grid completely supported by eight aluminum–clad columns located around the perimeter of the courtyard so that the weight of the roof does not affect the National Historic Landmark building. The courtyard, which can be viewed from the museums' galleries, accommodates an array of activities, including art–making programs, children's activities, concerts and performances.